Touchscreen is the only way to interact with your smartphone. If it stops responding then you will not be able to do anything on your smartphone. The display touchscreen technology in smartphones have become very advanced where you only need a feather touch to register a response on your mobile screen. But sometimes you may face a problem where your touchscreen stops responding or the touch is not getting registered correctly and smoothly. There are various reasons for it which I am going to discuss next along with their solutions. Here are the various touch screen problems and their solutions that you can try if the touch screen on smartphone not working, facing sensitivity issues or not responding correctly. These tips are applicable to phones from all platforms i.e. Android, Windows OS, iOS or Blackberry. Also I have found that touchscreen issues generally arise in some phones from HTC and LG. These tips will remain same for a tablet too. If your smartphone touchscreen not working and stops responding in the middle of your work then first thing you should do is to restart your smartphone using the power button. Hold the power button to switch off the phone and after few minutes, again hold the power button to start it. Maximum number of times the problem is due to software hanging issue and merely restarting the phone solves the problem in most of the cases. If restarting does not solve your problem then you can hard reset the phone to the factory installed settings using the physical power button and volume keys. The procedure is different for different operating systems and phones. For Android you can Hold down the Power button and press Volume Up button, then you will see the Android system recovery menu appearing at the top of your screen. Now Select wipe data / factory reset with the volume keys and press the Power button to activate it. Select Yes, erase all user data with the volume buttons and press Power button to select it. Sometimes cheap and inferior screen guards / screen protectors may cause problems with the touchscreen. So remove them and see if the touch is working fine or not. If touch screen won’t work then factory reset your phone to the default settings. Make sure to backup all your phone data before performing a factory reset. Well if your phone touchscreen gets very dirty and oily then you will face touch issues on your phone. So clean the touchscreen of your mobile phone using a slightly damp soft cloth. Tip: Turn Off your phone when cleaning the touch screen. 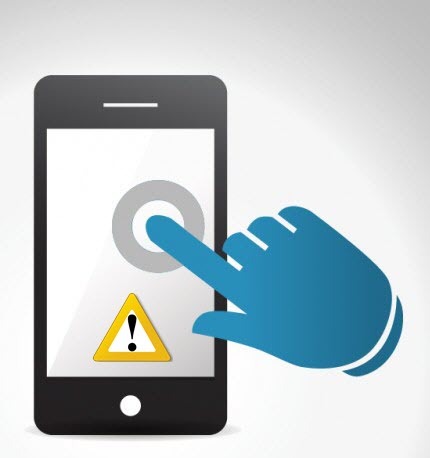 Tap your smartphone touchscreen with a slight force with your finger and see it works or not. Well it is not recommended solution but it is worth a try and sometimes works. Most of the times Touchscreen issues are software based. So update your Phone OS or Firmware to the latest version. Android users can install a different or custom ROM if there is no latest version of software is available by the phone manufacturer. If all the above solutions did not work for you then it may be possible that there is hardware fault with your phone touchscreen, and in this case the only thing you can do is to take your phone to the authorized service center and get your smartphone’s touchscreen replaced. If the phone is in warranty then I would advise you to get your whole smartphone replaced instead of just touchscreen. which are the very high graphic games for mobiles of all time in which if we test these games on mobile and runs lag free then the mobile can be treated as a high performance mobile?? and sorry for disturbing you repeatedly…i may do this a lot if have doubts.. Some of them are asphalt 8, nova, nfs, real racing 3, dead trigger etc.